I guess alot of people adopt a cat thinking they will save the poor animal in my case adopting a cat didn't actually save my life but it healed a broken heart and a lonely soul. I'm a shy creature and moving from four thousands miles away with just with my husband was really hard. I missed my friends but mostly I missed my noisy and annoying family to the point it actually hurt. The long hours my husband works/ed didn't help and losing my mom to cancer (which we found after she past away) and not being able to hold her just broke my spirit. My husband was not a cat lover and we weren't sure if a pet (dog) was in our budget nor if our landlord would allow it. How Kami found her way to my house is a cute story that might need her own post. The day she came home she was covered in mud and fleas. She was so tiny she could sleep in my hand, needless to say my husband and I felt for her in a second. After her first shower we could all see she was a lovely silver mackerel tabby. I was truly happy to have someone at home with me and for the first time in months my heart felt so light and the pain was slowly going away, it felt right to laugh again with her tumbles and games. As first time parents to a fur baby we had to get her a litter box, litter, plates, a bed, vaccines, food, toys, etc. Then we jumped in the car and went shopping, everything was quite easy but the food; there were so many brands to choose from, we took a popular brand for kittens and came home. Life with Kami as a kitten was never boring she would hide in places she couldn't find a way out of, she learnt how to play hide and seek and tag. She loved piggy back rides and still does but she never wanted to cuddle, yup she is not a cuddler she is to energetic for that, she only purrs when she gets her favorite food or treats. She is now 2 years old and a big part of our family, still plays like a kitten but eats like a lion. While reading about cats and foods to be avoided (she loved to lick chocolate I wasn't sure if it was ok), i stumbled upon so much info about cat food and the fact that cats actually need meat to be healthy and how most of the cat food sold on stores was mostly corn and grains, forced us to look for a more healthy cat food. We settled for a mix of organic and fresh food from the pet store,it was so fresh you needed to buy every 2/3 days since it lacked of preservatives. Buying cat food is a hassle and a part time job, a couple of weeks ago I was sent a bag of Rachael's Ray Nutrish for Cats. Well I'm such a fan of Rachael I used to watch her show every morning and I still subscribe to her magazine. I was kinda excited for Kami to test the new food. I did alot of research about their ingredients and didn't find anything yuckie. Nutrish is made with real meat and no colorants or preservatives yet the food lasted longer than merely 3 days and it was in fact cheaper than the brands we were feeding Kami before. 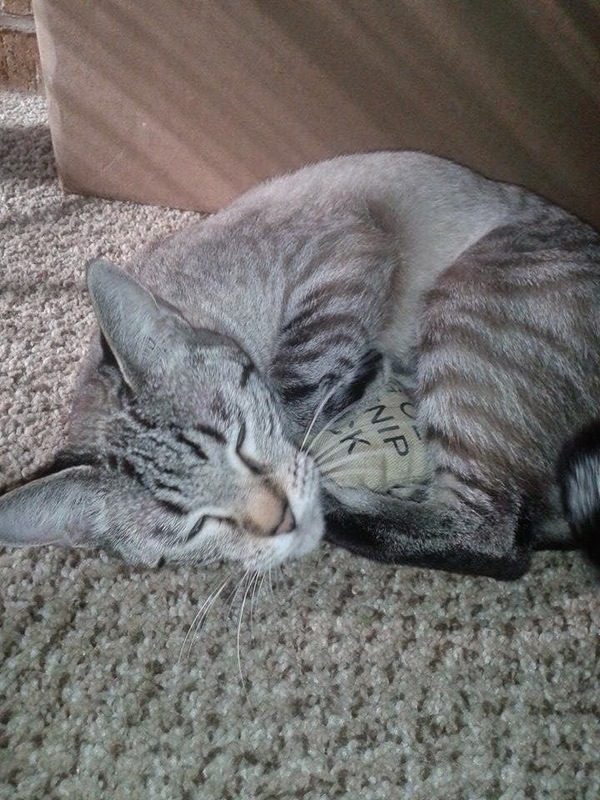 Kami was sent a special pack, a mix of dry and wet food and her favorite new toy a sack of catnip. We decided to have a brunch for 3, daddy, Kami and I. Her package had 3 wet food options Chicken purrcatta (her favorite), lip-smacking sardine and tuna purrfection. The dry food flavor was salmon and brown rice. Since her food was ready I had to plan something for us at 35 weeks preggo one of my biggest craving is sushi yet I can't eat raw food, so I did my own version of baked salmon and brown rice. Since Kami munches dry food through the day and dines wet food we went with some Chicken Purrcata for her. Our dinner was a success and husband and I had fun Kami ignored us until her plate was empty and once done she left us to have some me time with that catnip sack of course later on she joined us in bed for some luvme time and head scratches. After our experience with Nutrish for Cats I am happy to say it's the best cat food and actually an affordable healthy cat food option.We are switching brands to offer our baby some natural food for cats if you want to try Nutrish you can find some coupons here or check the store locator to find the closest retailer. Preheat your oven to 450 and season your salmon with salt and pepper and a few drops of lemon. Baked for 15 mins until golden let it sit. I made my rice in a rice cooker the secret for the perfect sushi brown rice is wash the rice thoroughly and adding a extra half cup of water in both stove or rice-cooker. After it is cooked it should be sticky but firm. Mix the vinegar with the sugar and salt. Once the rice is warm, in a wood bowl or a glass one slowly add the vinegar mix to the rice carefully fold until the rice it completely covered on it. Slice in fine strips the cucumber, the avocado and salmon. Cover with a plastic wrap a bamboo mat or a thick kitchen dish towel. Place the nori in the plastic and use your hands to spread the rice evenly and leave a half inch to seal the rolls. Carefully arrange the cucumber, avocado and salmon strips across the rice.life the corner of the plastic and slowly start rolling over the veggies until you reach the exposed nori, you can moisten your fingers and the nori to seal the sushi roll. For the last part is really important to use a sharp knife mine was not so great and I had so many problems trying to cut my rolls even. Cut the rolls every inch or so and serve with your favorite sushi dippers for me is simple soy sauce. A lucky reader will receive samples from Rachel Ray's Nutrish for Cats. Contest entrants are only eligible to win once per sweepstake, per household as part of a campaign sponsored by Mom Central Consulting. If you would like a chance to win complete the rafflecopter form below. This giveaway will run from 8/12 at 12:00 am- 8/17 at 12:00 am and is open to US residents ages 18+. All entries are optional, but completing more entries increases your chances of winning! Please refer to the full Terms and Conditions in the Rafflecopter. My cat Oskar loves Chicken. My kitties (all 3!) prefer fish flavored foods. they are VERY picky eaters! She is adorable! Wish I weren't allergic to cats! My cats favorite food is roast beef, steak and chicken. I am sure your cat would have loved those sushi rolls too. I have not seen this cat food yet. We have a cat who would go crazy for this food. And I would go crazy for the sushi. That cat is too cute!! My aunts cat would love this! Your cat is cute. Sounds like great food for pets. The sushi looks wonderful. Ah what a sweet kitty! I do not have any pets but this looks like a great brand. Iams is his fav hard food but his canned food is 9lives anything that is ground he likes. he does not like shredded to much. 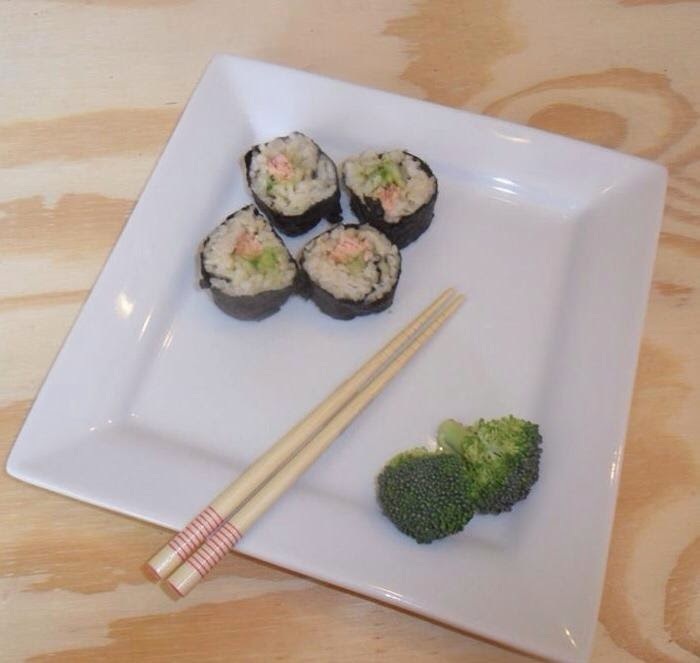 You sushi looks so good! I can not roll it as hard as I may try always looks like a child tried to fix it. If I had cats I would feed them this food! It looks fresh and strangely tasty. We used to feed Nutrish to our dogs. They were aging and I felt good about feeding them something that was better quality. I had no idea Rachel Ray made cat food! Your cat is beautiful! We recently got cat food from Rachel Ray for our cats, and they love it! My cat does not discriminate when it comes to food and I've found her even eating the dogs food at times which she shouldn't. I actually buy Rachel Rays food for her and she loves it. She's adorable! 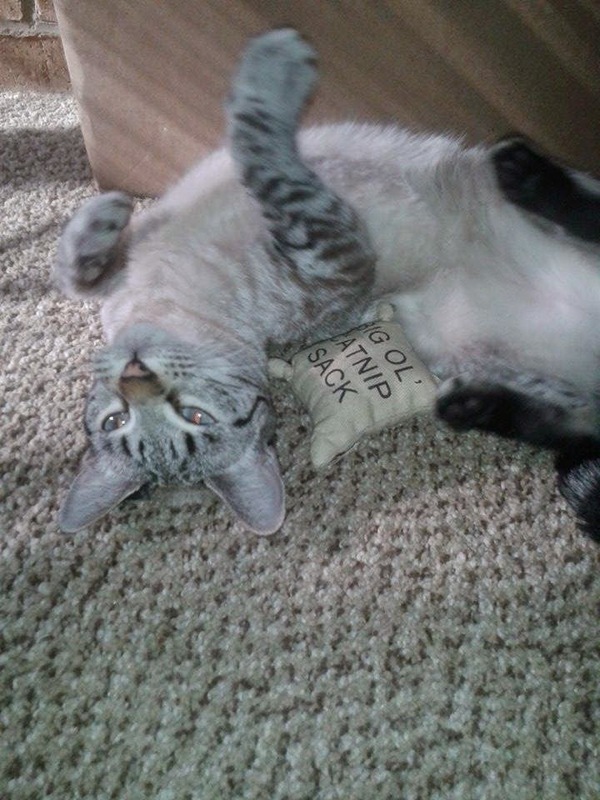 I rescued 2 cats (one from birth) and they are the funniest and sweetest cats. Aw, your fur baby is adorable! I have two rescue kitties - Peanut and Little Tiny. Peanut loves string cheese! She will practically climb up my husband's leg to get a taste. My cats love Wellness Duos wet food cups. Best Canned Cat Food :My cats, picky beasts that they are, refuse to eat most raw foods. Because of this, I am hyper-vigilant about ensuring they have adequate fluid intake/hydration, as cats have a poor natural thirst mechanism. I do this by feeding them high-quality canned food daily, in addition to high-quality kibble.